Dalton Pharma Services is strategically located in Toronto, Canada. The Greater Toronto Area (GTA) is host to a large number of world class medical and pharmaceutical research institutions including leading corporations, research hospitals, and universities. Major pharmaceutical companies and a wide range of biotechnology companies also call this region home. The Greater Toronto Area (GTA) is a leading pharmaceutical, biotechnological, and commercial center in North America. Dalton benefits greatly from, and contributes to, the innovative academic and commercial infrastructure and array of support services. Toronto offers short, direct flights to and from Chicago, New York, Boston, Baltimore, Indianapolis, and Washington, all of which are within a 450 mile radius (725 km). Toronto is an international transportation hub, with direct flights to other major cities around the world including North America, Asia, and Europe. Toronto is the third largest financial services center in North America. (Only New York and Chicago are bigger.) It ranks 12th in the ranking of Global Financial Centers (March 2010). Home to 55 foreign bank subsidiaries. One of the most multi-cultural cities in the world. The language and cultural connections are a major asset for Canadian companies with international customers or business. Three universities and four colleges of applied arts and technology. North America`s largest combined bio-medical cluster, comprised of pharmaceutical, medical research, biotechnology, medical devices, medical surgical supply, and medical assistive technologies. Employs approximately 140,000. North America`s 4th largest medical research community, with 9,000 principal researchers and technicians in 37 research institutes and 9 teaching hospitals. Toronto`s biotechnology cluster ranked among the world`s top 10. Pharmaceutical industry in the GTA employs 11,000. Sanofi Pasteur facility produces and ships vaccines to over 90 countries. Dalton Pharma Services is centrally located in the populous southern part of the Province of Ontario, which is Canada’s economic powerhouse and the largest hub of biomedical activity in Canada. GDP of Ontario is larger than that of Belgium, Sweden, Switzerland, and Ireland. $17 Trillion marketplace under the North America Free Trade Agreement. 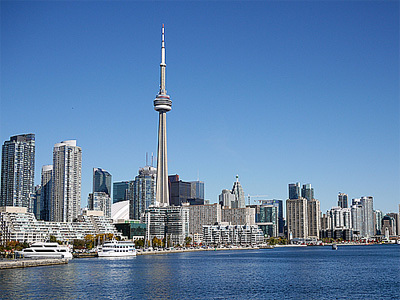 158 million consumers are within a day’s drive of Toronto. Long history of innovation, from the telephone to insulin to the Blackberry. Third largest biomedical research centre in North America. Innovation is a key priority for the City, Provincial and Federal Governments. Ontario is home to a large number of important innovations in life sciences. These include insulin, the first pacemaker, stem cell discoveries, the first childhood meningitis vaccine, and discovery of the myotonic muscular dystrophy gene to name a few.